Sant Hilari Sacalm, Spain – Upwell’s Rachel Weidinger’s session at Greenpeace’s Digital Mobilisation Skillshare on what it’s like to work at Upwell is resulting in raving fans, and for good reason. 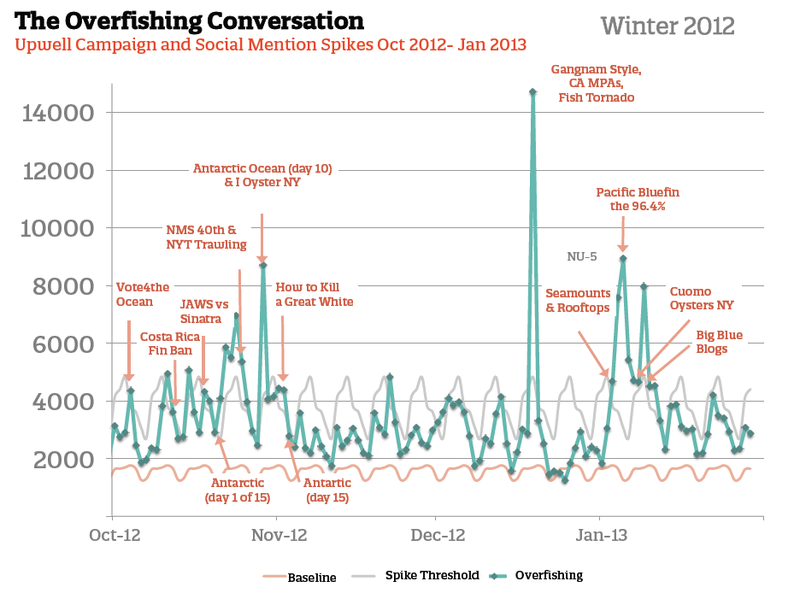 The director of the San Francisco-based social media listening agency backs up her case for constant campaigning with data and graphs showing the spikes and steady incline of people talking about ocean conservation, the issue Upwell campaigns on. “A tiny bit of effort can make a huge difference in how your campaigns get picked up,” Rachel tells participants, bemoaning the lack of innovation or effort organizations take when releasing important scientific papers and news. That’s where Upwell comes in. Combining social media search tools like Topsy, RT.Ly, Radian6 with keywords, Upwell finds the hot topics related to its issue disguised under boring executive summaries or hidden on page 6 of the news. Upwell then explores how to repackage this information into daily campaigns, using funny, emotive, alarming or timely information to get people talking and sharing on social media along with taking a particular action. Upwell also practises “big listening,” tapping into what social media is already talking about, and using this information to frame its evolving and new campaigns, joining and heightening meaningful social media conversations. 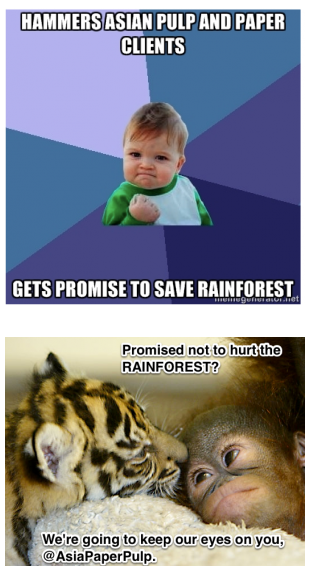 They collaborate with other organizations to get the news and campaigns spread as widely as possible. Rachel says this daily campaign approach takes a page from the tech term “minimum viable product,” or in this case, a minimum viable campaign. Come up with an idea quickly, put it into production, get it out into world where users may test it, and then use the data from the test to refine your idea, and reiterate again. Images created during one of the GPDMS sessions led by Upwell’s Rachel Weidinger. “Rachel from Upwell was amazing. They’re campaigning daily which is very different from what we do. We plan for months and we’re not addressing the issue every morning like they are doing. They have amazing effects they can’t take credit for, but they’re really making waves as we like to say,” says Alex. “It was a great session and very connected to the job we do in the news department. I feel like the big takeaway for us is that we have to be more brave and we have to increase our speed, and go from idea to testing to data to idea, and just get it out there,” says Sabina. “It was absolutely a great session. 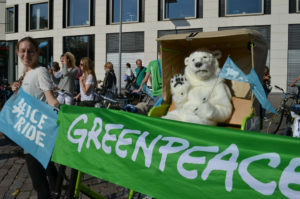 We had a lot of fun pretending we were Upwell and going through their daily process which inspired a lot of thinking for me about our process at Greenpeace International. We also do listening on social media, official monitoring, analysis, and we talk about what’s hot, but we don’t do what Upwell does, which is they create the Upwell firehouse or tumblr of all the good ideas they have for things that are underrepresented or hot right now but need to be paired with action,” says Brian. Do you have an innovation in mobilisation and people-powered campaigns? 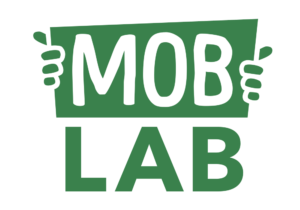 Share it with Mob Lab by contacting editor@mobilisationlab.org.